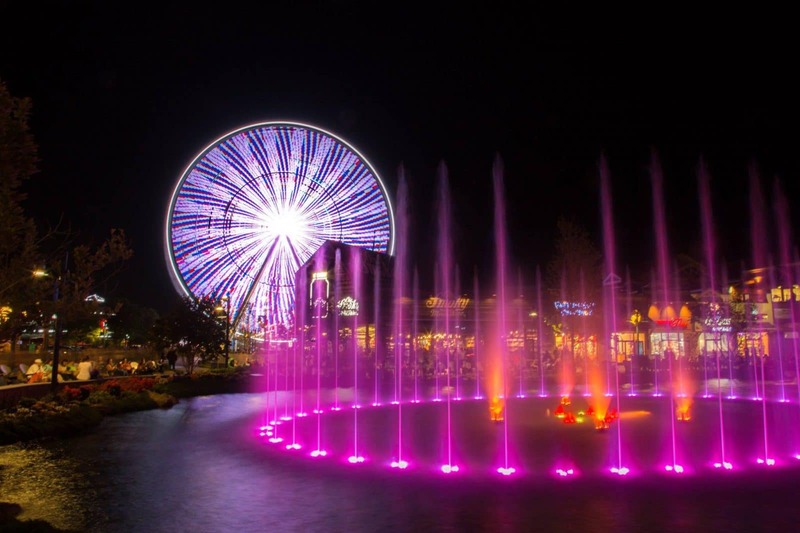 Island Show Fountains is a state-of-the art, multi-tiered show fountain features a stunning presentation of water dance and light, all perfectly choreographed to 14 different pieces of music. While more than 89 vertical nozzles create lively movement and set the show’s pace, six motion-based nozzles create graceful water sprays that swirl to the music. That’s over 90 water shoots! Seemingly competing for attention, a geyser nozzle shoots powerful bursts of water 60 feet in the air, creating drama and flair. The best part about this beautiful, water shooting, bright colored fountain is that it is absolutely free! There is no cost to you, however, seating is not guaranteed, so be sure to get their early enough to grab a spot!